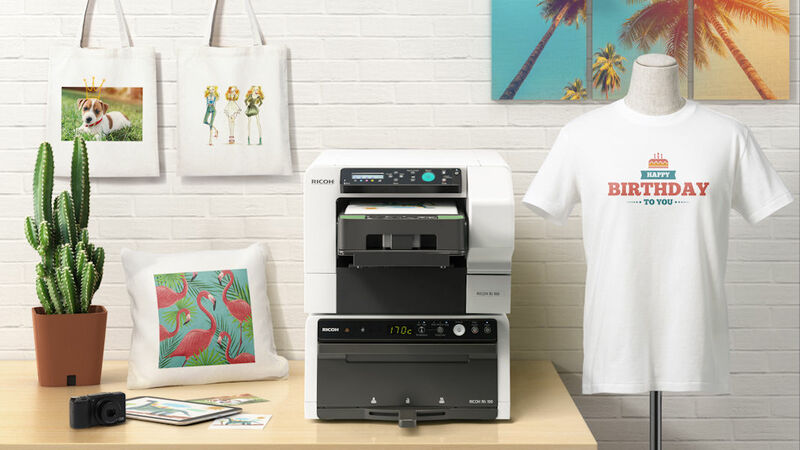 At CES 2018, Ricoh showed off its new Ri100 T-Shirt Printer which is perfect for your small businesses or anyone who is crazy about printing their own shirts. Do you want to print custom T-shirts? Say, with pictures of people’s pets on them or other custom designs? You are going to love what is coming to the US this Spring. Ricoh’s new T-Shirt printer is under $4,500. You could start your very own T-Shirt business with a printer like this. Or add some versatility to an existing business. It works on a variety of fabrics.The printer works about the way you would expect.You load the fabric in the cartridge, stick it in and print your design. After that you remove the cartridge and put it in the heating unit for three minutes. The cost is estimated to be about 50-60 cents per print, not counting the shirt. That’s not a bad price at all. The unit fits easily on a desktop or counter and the RICOH Ri100 has an intuitive heating system that removes wrinkles from fabric, creating a smooth surface for printing, and then cures the ink after, making the print very colorfast, so it should last the life of the shirt.